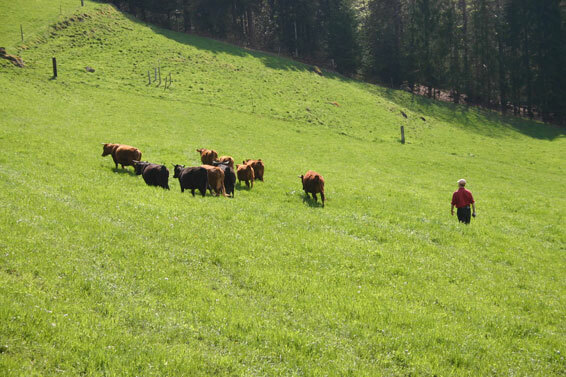 Welcome to low stress stockmanship - the safe and efficient way working your livestock. 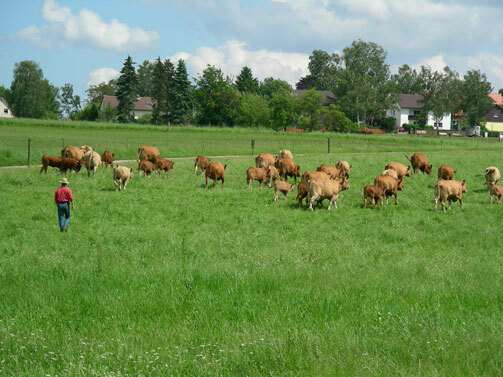 I want to introduce here low stress stockmanship, the stressless working and handling of livestock (mothercows, dairy cattle, bulls). 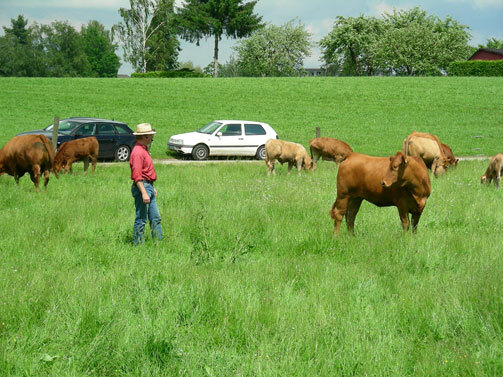 Stockmanship is the most intelligent handling with grazing animals. Stockmanship is the promise that I give to the animals. I promise not to scare them or otherwise to threaten others. I give the animals time they need. In return I get from the animals a peaceful, cooperative partnership and they do what I ask for. 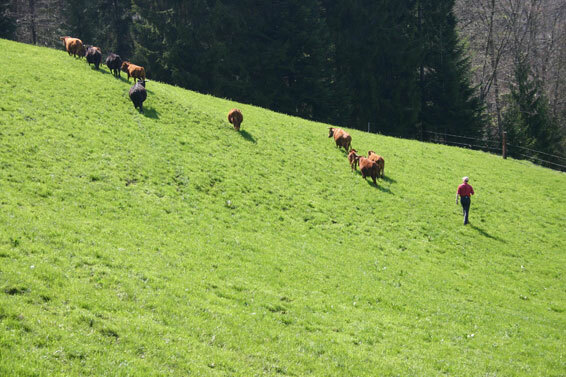 Stockmanship simplifies all works with the animals: the rotational grazing, the roundup in the corral, sorting, selling of the shipping. More and more dairy farms are interested in the low-stress handling of their animals. Because, actually, we know this from our daily experience: The fact that you meet someone two times a day does not mean that there are stress-free meetings. Even if it is happening rarely: I was already reported by dairy cows, which began a treatment by the veterinarian after they were completely enervated.